While every lawsuit is different, there are common elements. Learn about the general steps and phases in a personal injury lawsuit, from meeting with an attorney to collecting a judgment. Every personal injury lawsuit is unique. But there are certain steps that are common to most personal injury lawsuits in Arizona. Let’s take a look at these litigation signposts so that you have a better understanding of how your case might unfold. 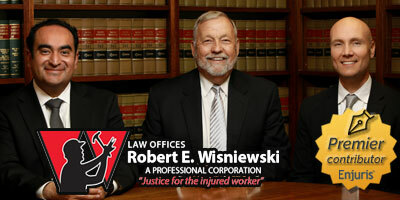 The first step in any personal injury case is to meet with a lawyer. This first meeting is called an initial consultation. Most attorneys will provide an initial consultation free of charge. During the consultation, you’ll discuss the details of your case, including the nature of the accident and the extent of your injuries. The lawyer will ask you a number of questions, but you should also have questions prepared for the lawyer. Remember, you’re not just using this consultation to determine whether to proceed with the lawsuit; you’re using the consultation to determine whether to hire this particular attorney. At the end of the initial consultation, the attorney should be able to provide you with a case strategy and a list of next steps. Your attorney should communicate with you throughout the investigation. At times, they may need to ask you follow-up questions about your accident and injuries. Your attorney may also request certain information from you, such as medical bills or pay stubs. It’s important that you cooperate fully with them during this process. Once your attorney has completed their initial investigation and gathered some of the important evidence, they’ll likely put together a demand package (sometimes called a “settlement offer”) to submit to the opposing party’s lawyer or the opposing party’s insurance company. The purpose of the demand package is to give the other party an opportunity to settle the case without incurring the additional time and expense associated with filing a lawsuit. If the other side accepts the offer, your attorney will draft a settlement agreement and collect the funds. If the other side responds with a reasonable counteroffer, your attorney might continue to attempt to negotiate a settlement without filing a lawsuit. If the other side declines the offer or responds with an unreasonable counteroffer, your attorney will likely file a lawsuit. Enjuris tip: For most personal injury lawsuits in Arizona, you must file and serve the defendant with a complaint within 2 years of the injury. Because of this deadline, you shouldn’t delay meeting with an attorney about your case. “Discovery” is the legal term used to describe the pre-trial procedure in which the plaintiff obtains evidence from the defendant and vice versa. The general rule is that a party can obtain any information from the other side so long as it pertains to an issue in the lawsuit and is not “privileged.” The most common example of something that is privileged is a private correspondence between an attorney and their client. Depositions: In a deposition, an attorney conducts a face-to-face questioning of the opposing party or a witness. The person being questioned must answer the questions under oath. Requests for production: In a request for production, one party asks the other party to produce physical evidence. The evidence must be turned over so long as it’s relevant to the lawsuit and not privileged. Interrogatories: Interrogatories are written questions sent from one party to the other that must be answered under oath. Requests for admission: In a request for admission, one party asks the other party to admit that certain facts are true. As your attorney develops evidence through discovery, they will continue to attempt to negotiate a settlement. While a good attorney isn’t afraid to go to trial, they also recognize that trials are expensive, stressful, and time consuming. Because of this, the attorneys in your case will likely make several attempts to settle. In some cases, the attorneys may bring in a mediator. The mediator is an independent person (often a current or former judge) whose job is to help the parties reach an agreement. Motion for summary judgment: A motion asking the judge to issue a ruling on the case based on the undisputed facts. This only occurs when one party believes the other party has no evidence to support their claim and must lose the case as a matter of law. A majority of personal injury cases settle before they reach trial. However, if the case can’t be settled, the next step in the litigation process is a trial. At the end of the trial, a decision maker (either a judge or jury, depending on the case) will determine fault and enter a judgment. Once the court enters a judgment, your lawyer will go through the process of collecting and distributing the funds to you. If the judgment wasn’t in your favor, you have the option to appeal the ruling by filing a notice of appeal with the court of appeals. A good lawyer will walk you through all of these steps so that the process isn’t so daunting. To locate an experienced Arizona attorney, use our free online directory.